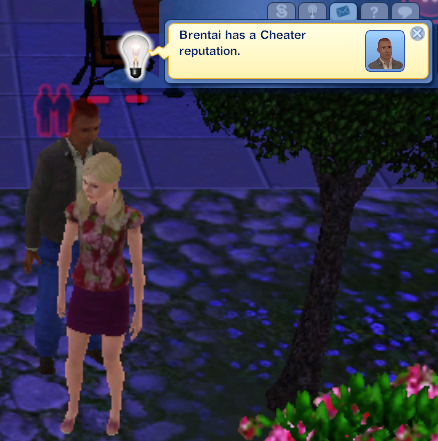 There's something disturbing about a game that is giving me more romance cred than Brentai. Railman Jim's Downhome Country Loaf. Too obvious, or just obvious enough? 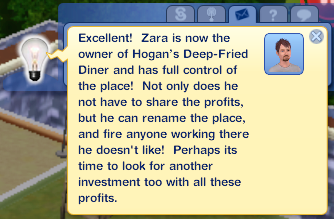 "The Restaurant at the End of the Universe"? 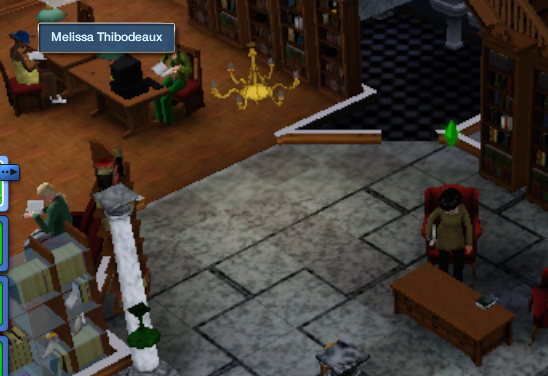 I am totally going to go busking in every library here now. Brilliant! Yes, my room obviously needs full length mirrors and a walk-in closet. And dressmaker's dummies. And bolts of cloth and lace. And pins embedded in the carpet....I guess it doesn't have to be that accurate. Captain Silurian's Fried Raptor and Gasoline. Brentai wrote: Hogan's Deep-Fried Dinersaur. 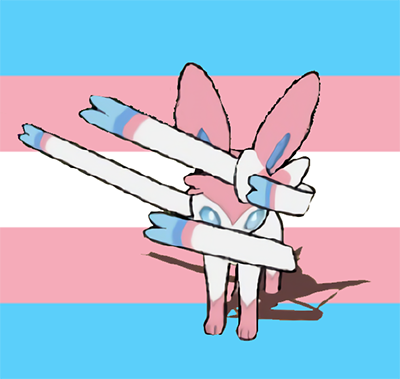 This one is my personal favorite so far, but I'll only rename once you guys get any sort of consensus going. This is the room on top of Silver's tower. Dressers for clothes with makeup, fragrances, scented candles, and other knickknacks on top. 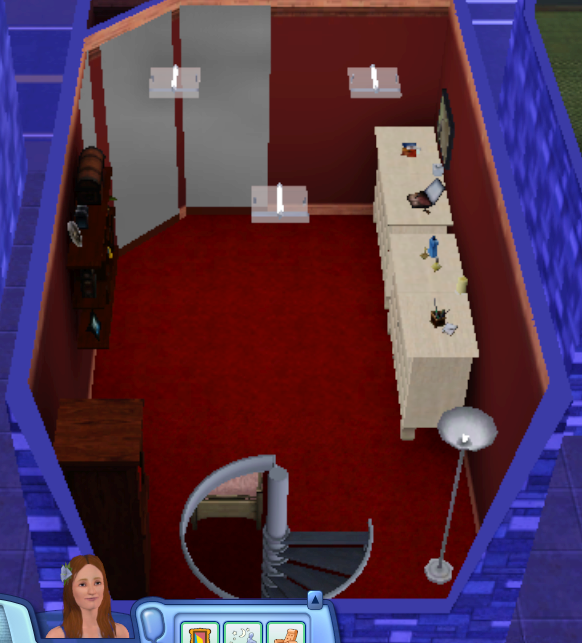 A small wardrobe (or the closest I can get) in the corner. Shelves on the walls. Well-lighted mirrors mounted in the corner. 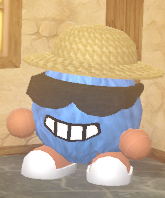 There's not an in-game object for a dressing dummy, at least in the core game. Perhaps I should build a Brontocastleus in Terraria instead? If I don't start giving a hoot about my job soon I wont be a big LAPs earner anytime soon. On that note I vote we buy up lots more stuff. Two more venues, to be exact. I am cool with any name, really. You guys pick what you like. 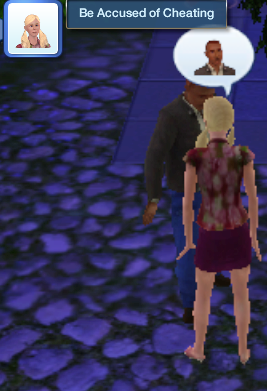 Spoiler: much of this update will be of Brentai wooing ladies. Spoiler: very little of it will involve Mongrel just off-camera, loudly complaining about his growling stomach without actually bothering to go get any food. 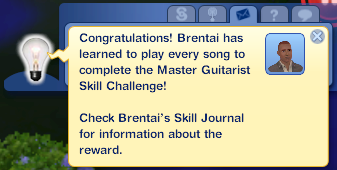 Anyway, Brentai nails another skill challenge. 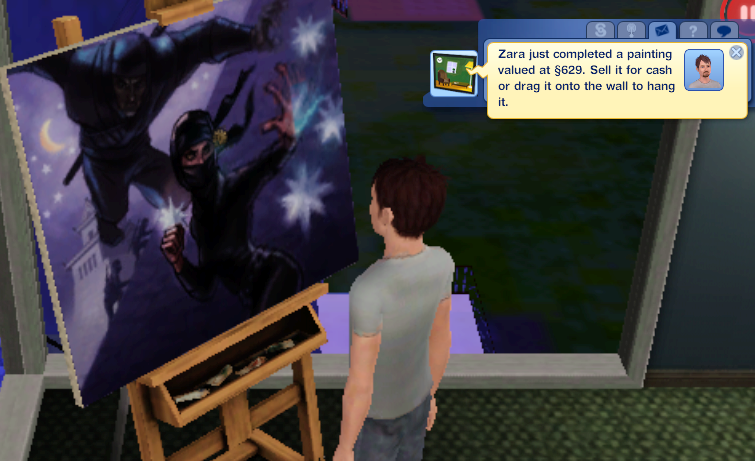 And after the young lass excuses herself to go home, Brentai borrows Beat's Moodlet Manager for a second and zaps Mongrel with a blast of debilitating radiation. Now you're hungry and sleepy! Ha ha! 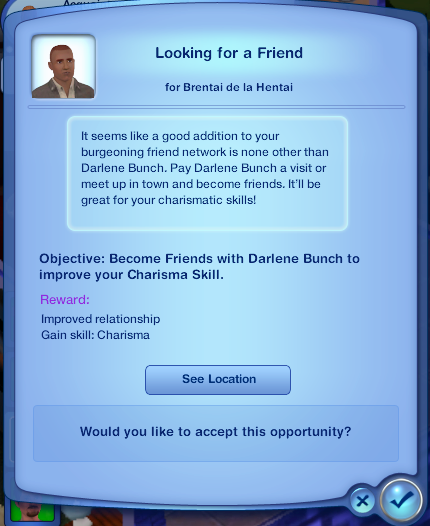 I've stopped mentioning every Opportunity that comes up, because yeesh useless filler, but this one's interesting purely for all the rewards it promises -- relationships with everyone, career progression, and cash! 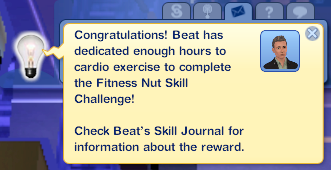 Before he completes it, another skill challenge. 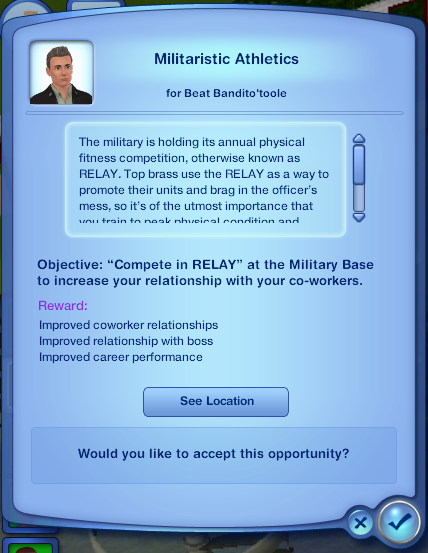 And a promotion. 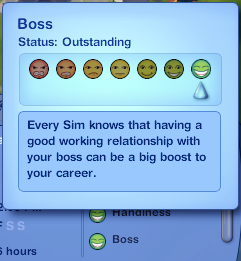 One that requires a good relationship with his boss, but Beat's got that well in hand already. 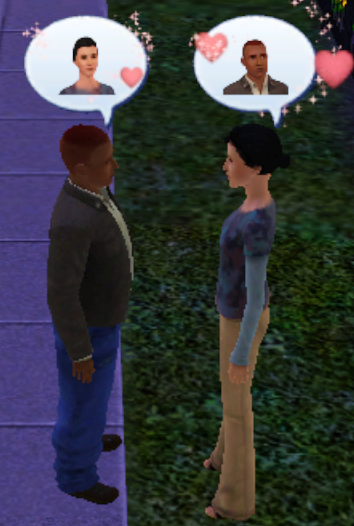 Well, except what's-her-name from last night, but that was strictly platonic. Or wait, maybe she ran into River McIrish...? Brent immediately channels Taylor Swift and turns his heartbreak and ruined reputation into a hit song. 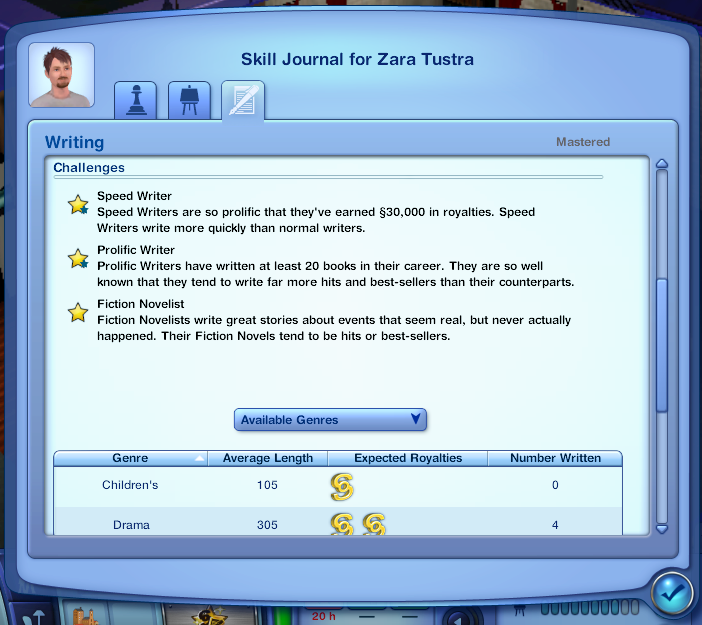 Zara's basically done with Writing, having mastered the skill and completed all its challenges. He'll be collecting royalties for the rest of his life, so that's okay. 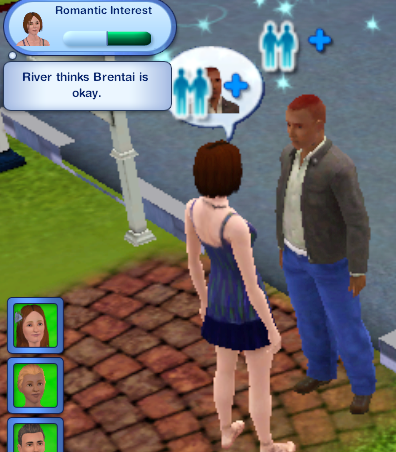 Meanwhile, Brent meets up with River again, and since things went so poorly last time the option for a Smooth Recovery is immediately available. 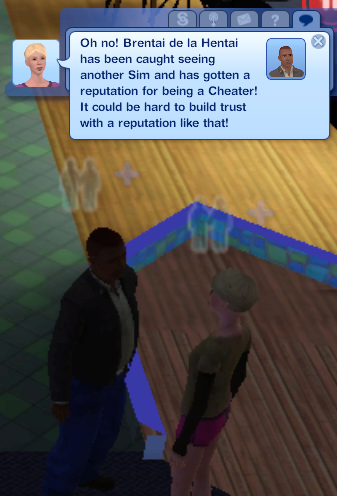 So that's one more girlfriend. ...only this new beau isn't as eager to hop into bed with Brentai as her mom was. Wow, that was a weird sentence to type. Awesome, Silver completes the "go find and befriend a total stranger" Opportunity from last time. She even gets to know Melissa well enough that Melissa gives an interview, and thus another article Silver can write. 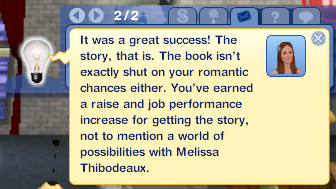 Oh great, that's good st-- wait, romantic chances? 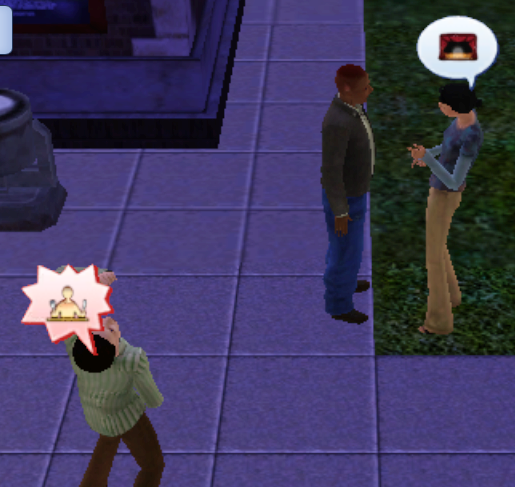 I told you this update would involve a lot of Brentai hitting on girls. 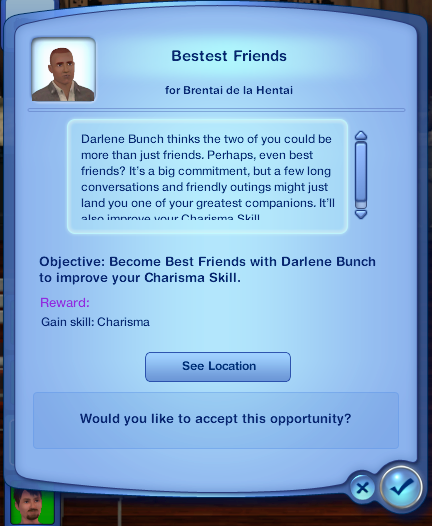 Despite the nasty rumors going around about Brent's fidelity, Darlene agrees to stay the night once the two leave the gym. Ada's all up to speed on the rumors and finds this hilarious. 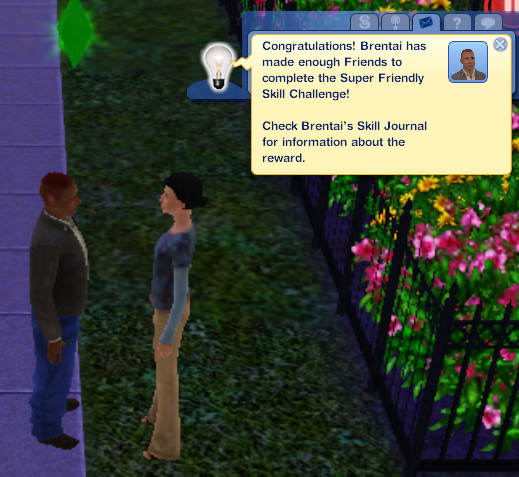 Brent reaches the top of his career path, freeing him utterly from the drudgeries of a regular work schedule. 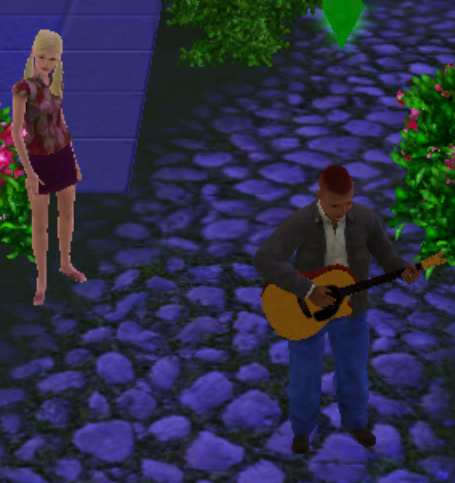 Now that he's a Rock Star, he gets to set his own performance times! Anytime between 3:00 and 11:00 PM, he can head to the community theater or the stadium to put on a concert. 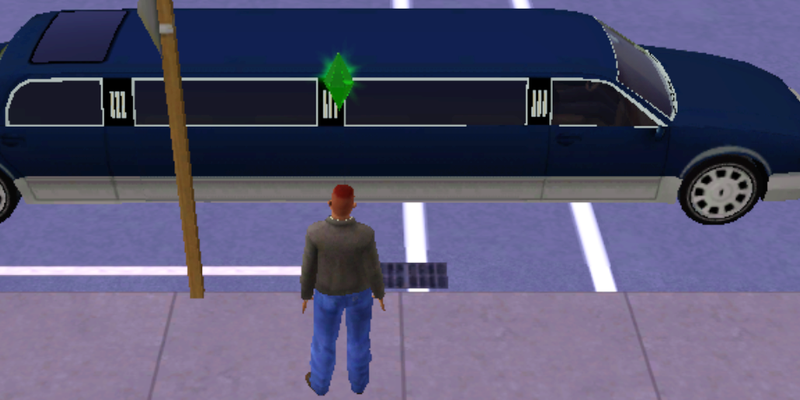 Also, his tour bus is replaced with a limousine. Anyway, more of the same. 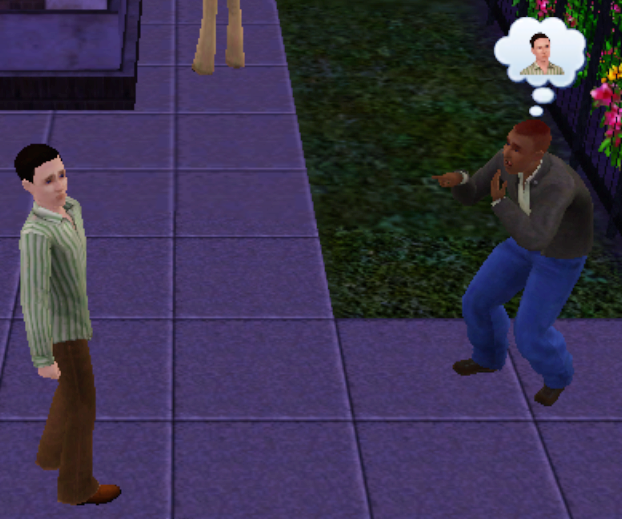 Absent-minded can be pretty inconvenient! 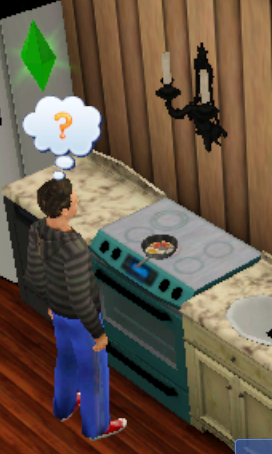 If food is left on the stove unattended, it'll catch fire every time. 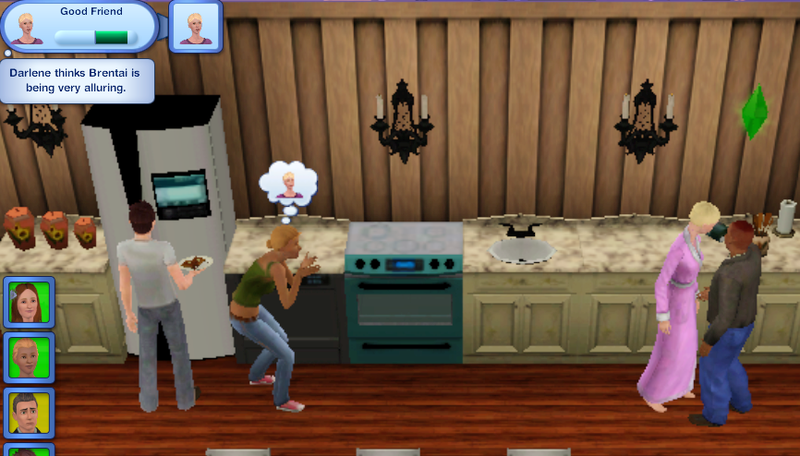 This could have been bad if I hadn't been paying attention. 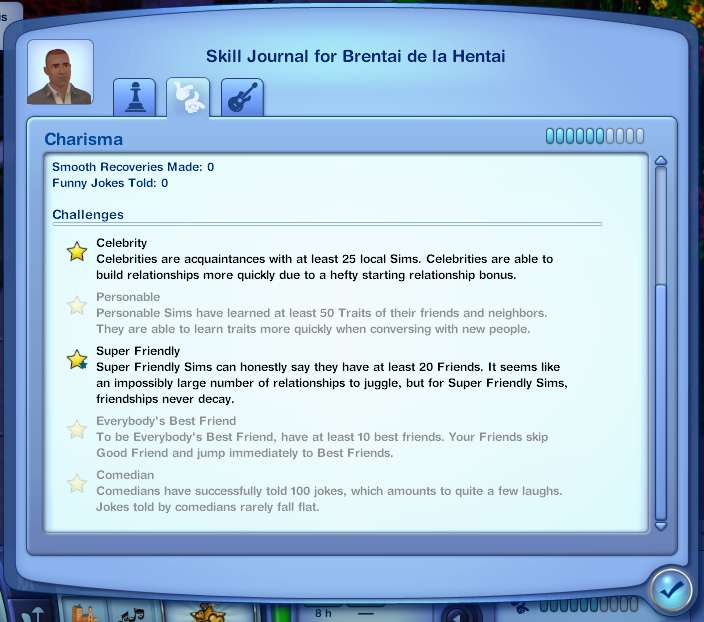 Much like the previous "become friends" Wish couldn't be achieved with an Ex-Girlfriend relationship, you can't be Best Friends with a Romantic Interest. 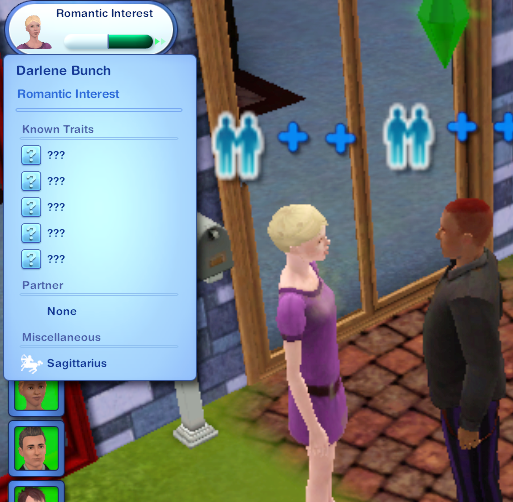 Darlene does not take it well. 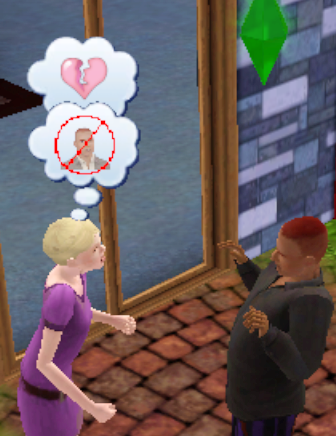 I dunno, game narration, she seems pretty mad. 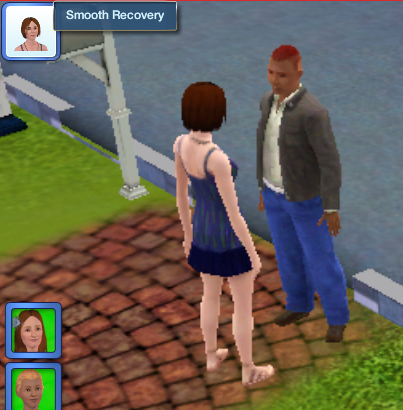 There's no Smooth Recovery option here, at least, it doesn't come up before Darlene leaves the lot in frustration. 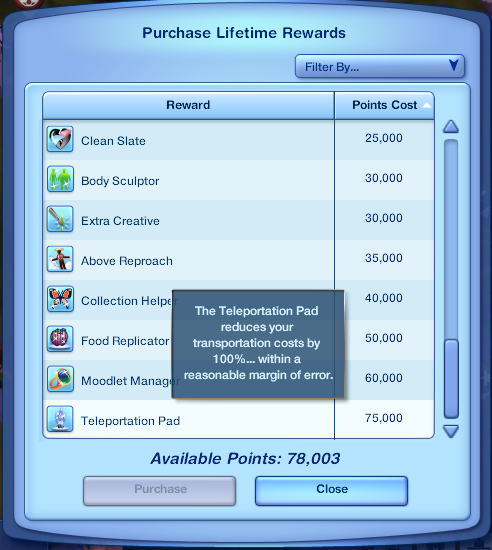 Speaking of expensive Rewards, Zara blows a ton of points on a teleportation pad. 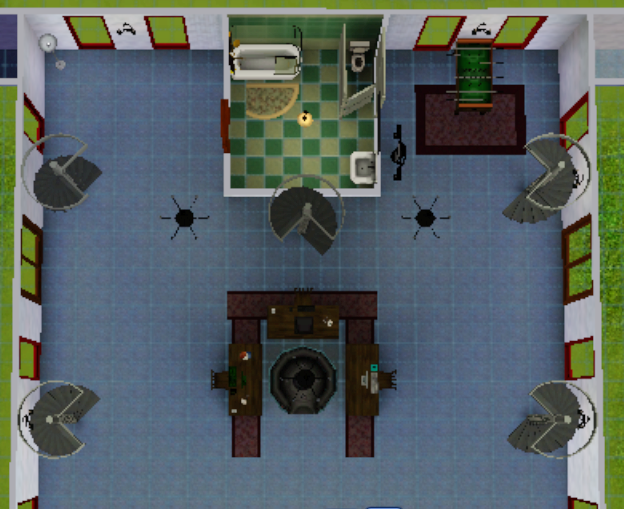 This requires a bit of remodeling. 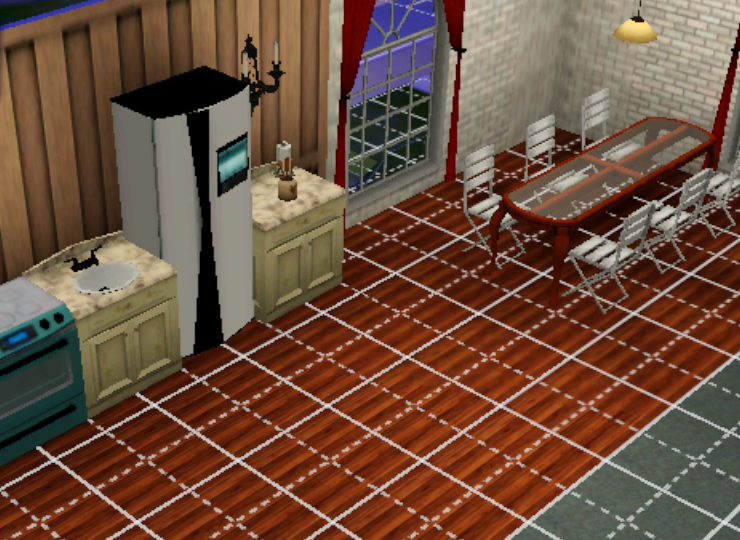 New kitchen/dining. Reading nook, for those who enjoy such a thing. 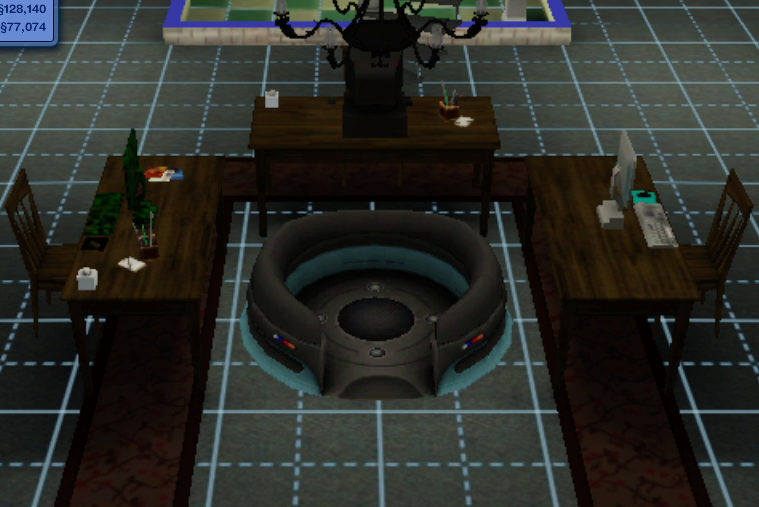 The telepad is now front-and-center in the house, easily accessible to everyone. 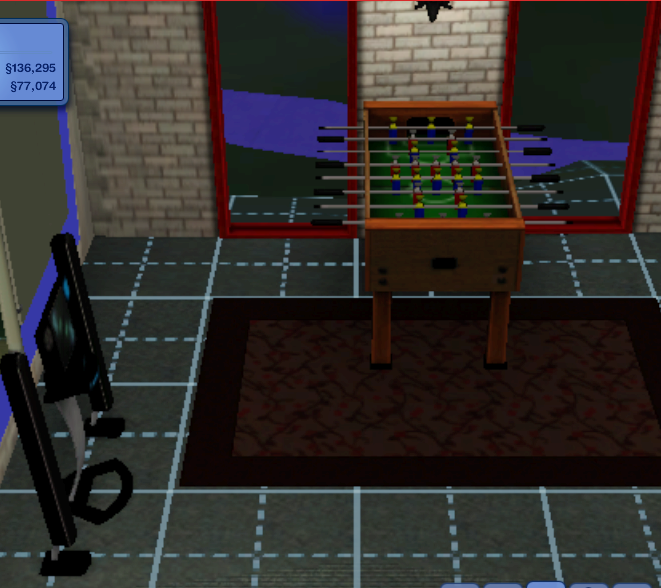 I buy the group a Foosball table -- it's a group activity that's some of the most Fun a Sim can have -- and move a stereo from upstairs so people can listen while they work on the computers. 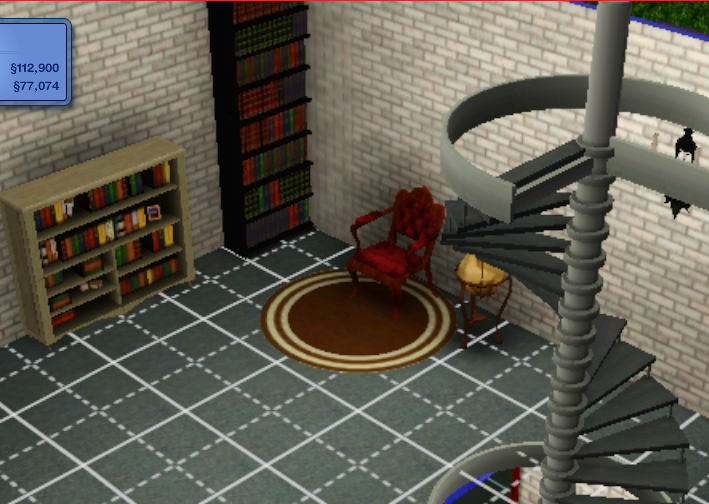 I spin the staircases around so they're not all haphazard, too. Okay! 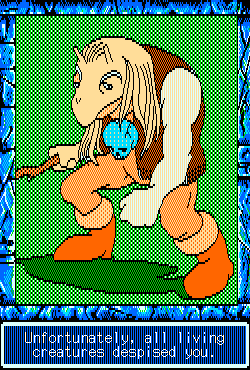 Beat Skeleton is the oldest Sim across either game, and his birthday is coming up in the next few days. 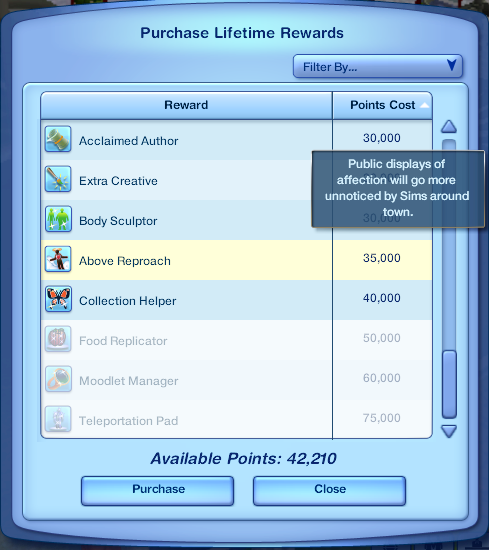 The next update will probably include everyone aging up into seniors. From their senior birthday, Sims live for at least 17 days. 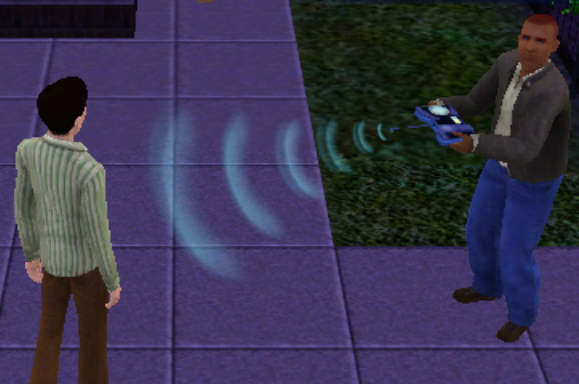 A semirandom number of days after that, the Sim dies of old age. 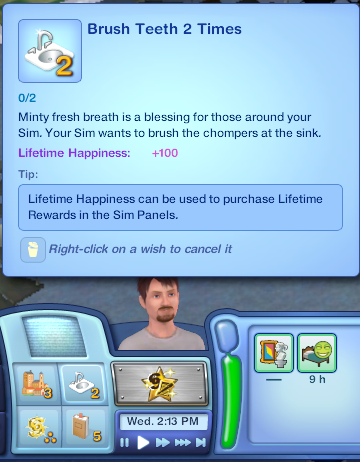 Once a senior, a Sim may retire from their day job. This frees up their schedule and gives them a small daily allowance. I'll probably do this for everyone once the chance comes up, let me know if you don't wanna. 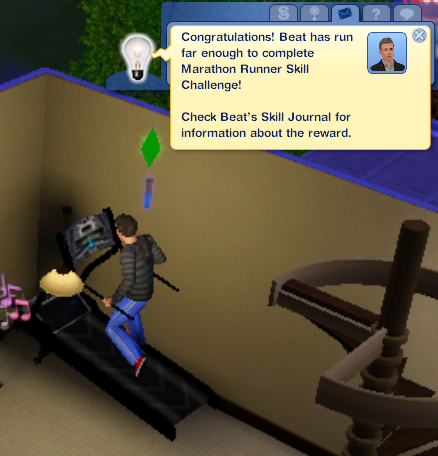 If anyone hasn't yet completed their Lifetime Wish -- Brentai, for instance -- finishing that is my top priority. For everyone who has, I'll be working on Skill Challenges for the skills they know. If they've wrapped up all of those, they can take up a new hobby. For Lifetime Award Points: the Tyrants have a total of 517,730 and the Brontos 545,172. The Brontos lead. For Assets: the Tyrants have $343,620 and the Brontos have $286,419. The Tyrants lead. For Skill Challenges: the Tyrants have nine and the Brontos a whopping eighteen. 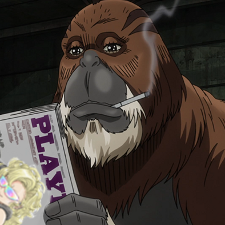 The Brontos lead. 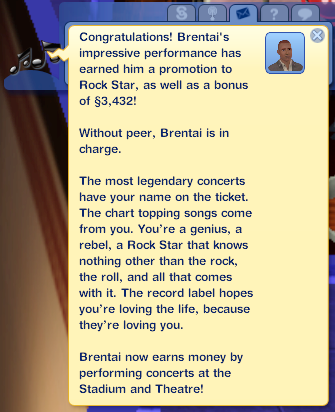 Wishes: none -- Brentai has achieved all his wishes! 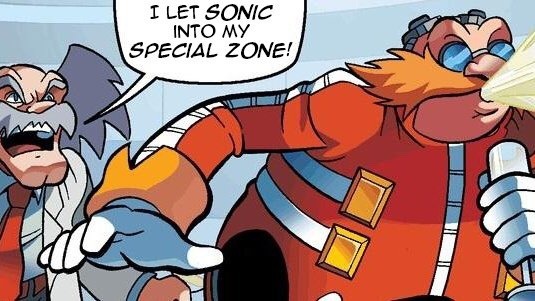 Yeah, it's usually the other way around. 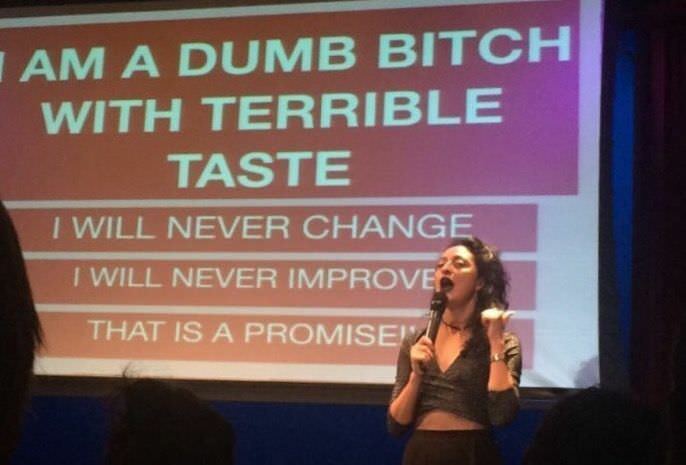 That Clean Slate thing sounds like it'd be more useful after I'm done with my heartbreakin' tour de force, though given the time limit that might just mean more of my exes will show up to my funeral. Oh, and I totally want to keep on being an aging rock star, of course. 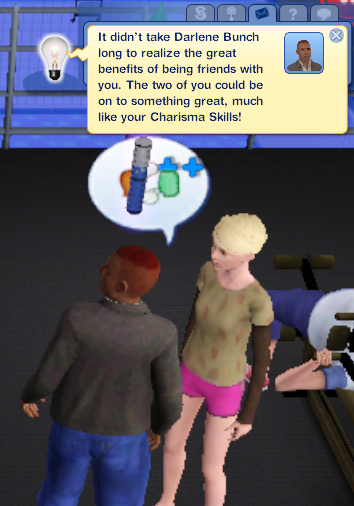 Looks like I shouldn't have any issues capping out Athletics before becoming old and useless, like all retired people. After aging up, the existential crisis that comes with the realization that all of life is just a slow crawl to death and all accomplishments of any size will be forgotten to ravages of time leads Beat to either put everything into the job to try and milk as much money as possible in a desperate attempt to buy his way out, or start harvesting souls / organs to keep himself going. Or maybe, like, build a robot to put his brain in.